In Deep Water Culture systems the plant is suspended in a net pot containing a hydro medium, and the roots grow out of the net pot toward the nutrient solution as they seek moisture. Roots can absorb more oxygen from the air than dissolved in water – a major benefit of the Oxypot. 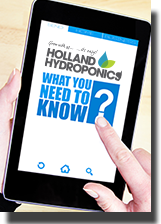 The Bubblebox is a Deep Water Culture (DWC) hydroponic grow system that’s easy to set up and maintain, making it an ideal choice for both new and experienced growers wanting a soiless system. 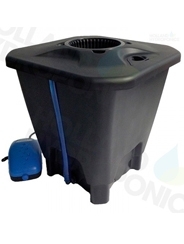 The IWS OxyPot DWC is a great introduction to growing in hydroponics and an ideal choice as this straight forward system is easy to set up, use and will help give you impressive results. Introducing the award winning new RDWC PRO Systems from Alien Hydroponic systems. (Recirculating) Deep Water Culture is a method used to grow plants with roots submerged in highly oxygenated nutrient solution. Embrace the latest growing method!